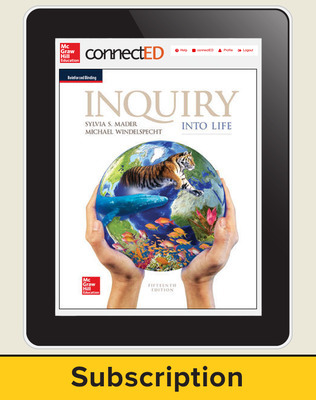 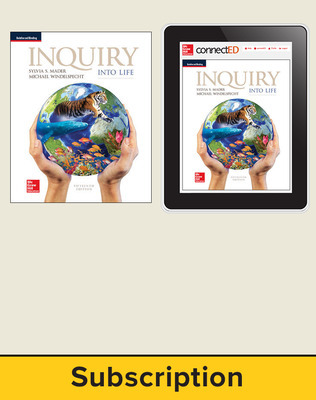 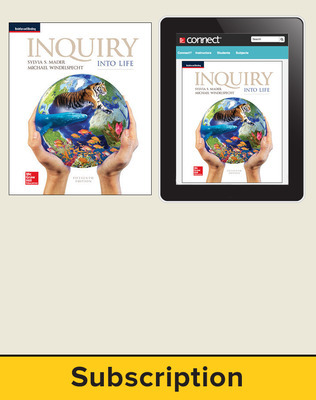 Inquiry into Life offers a unique approach to biology by explaining basic biological concepts and processes with a human emphasis, making biology relevant and understandable to students. 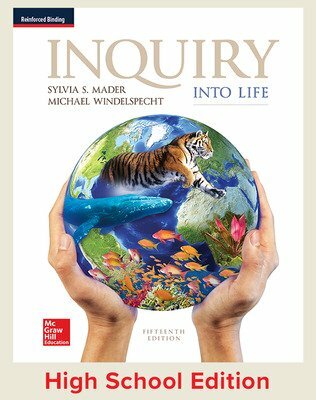 Author Dr. Sylvia Mader’s teaching system motivates students to understand and appreciate the wonders of biology. 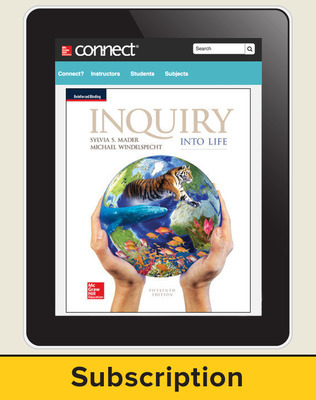 Coupled with a modern digital approach, this traditional learning system is designed to both engage and encourage today’s student.